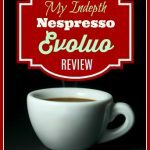 Here it is again, a machine that can do it all, and then some; in full detail I’ll tell all about what the Keurig 2.0 K575 brewer can do and any caveats (yes there are a few) to watch out for before you buy. 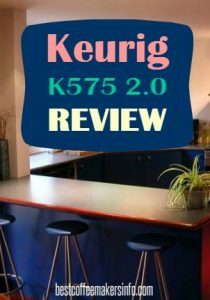 In a nutshell, it’s a little more advanced version of the Keurig K475 discussed previously. A bigger touchscreen window, a snazzy looking nightlight, and a 12 oz setting are just some of the “extras” included. 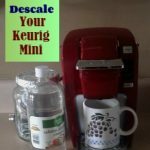 The Amazon sales page lists the Keurig K575 as 10.4″ by 13.6″ by 13.4″ and 13.7 pounds, while the manufacturer site lists the measurements almost toe to toe, just a little more precise at 10.43″ L by 13.63″ W by 14.45″ H.
If the drip tray is removed, the clearance between the dispensing spout area and the open space (as this particular brewer does not have a drip tray base) is 7.25″, which, presumably will accommodate the height of travel mugs up to 16 oz; as mug and carafe adaptability is one of the 2.0’s main distinguishing features. 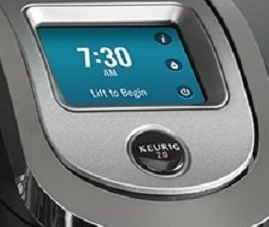 The Keurig K575 only comes in the silver-look gunmetal color with chrome accents; – it does not have additional color options. There was some confusion with regard to whether or not the black carafe was included, as the description does not mention it (there was an image included of a more upgraded thermal carafe, which is sold separately. ) Sorry to report that the carafe is not part of the deal. If you’ve been reading up on 2.0’s for awhile you know I’m going to tell you that the touchscreen window has got the lion’s share of power – underneath it is the brew button which finalizes your choices before the machine goes to town. The touchscreen window puts just about everything in your hands: the time, when the brewer comes on and goes off, brew temp, brew size, option for a stronger brew with a pulse setting, even simple personal touches like changing the wallpaper color or pattern. The gamut of things you can change through the touchscreen include the temperature, which is set to a default factory setting of 192 degrees but can go up to a max temp of 197. Although the number itself is not specified -you have readouts of “Low” “Medium Low” “Medium””Med High” and ‘High” . So in a nutshell, you use the arrows to move through the different selectors. Don’t forget to hit “save” after you’ve made your choice, or changed anything, to finalize the option. 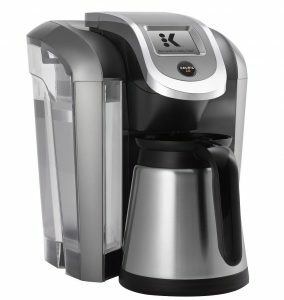 The Keurig K575 has a generous 80 oz reservoir which will last through many brewings before refilling. You can remove it entirely to refill it as needed, but better yet you can open the lid which is hinged for flawless replenishing. 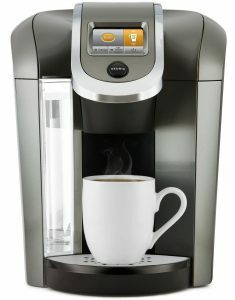 It has a min and max fill line indicating the place to begin and end for carafe brewing accuracy. Lastly is a designated area with which the water filter is inserted. If you are the tech-savvy type, you may find that you can move through the touchscreen controls like silk on glass. 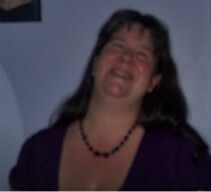 But as I’ve discovered, even those who are not don’t find the basic operations difficult. 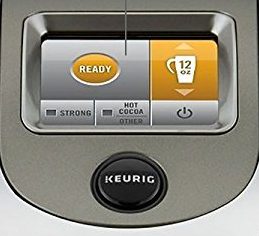 What I like is the fact that the “hot water on demand” setting will let you choose your preferred brew size and you don’t have to hold the button down while it dispenses; just punching it once is enough.. This will come in handy on those days when you’re trying to get a bowl of oatmeal or instant soup going when you know the amount of water needed. 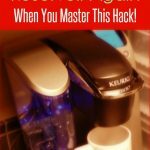 The clock setting is great too; it can be set to analog or digital (and digital can be set to military time too) – this is important because you need to set the time first before attempting to set the Auto-On, Auto-Off, Auto-Brew, and Energy Saving modes. As long as we’re on the topic of the Energy Saving mode, one thing you’ll agree with me for sure is …being able to set this baby to go off down to an amount in seconds-wow, how cool is that …instead of a usual preset period of thirty minutes? So if you love the idea of saving energy you’re gonna love that little feature. The water filter seems easy to insert and set for the correct change periods as well as switch out the cartridges when necessary. You also have the option of setting the Water Filter Reminder to “enable” on the touchscreen menu if you’re ever had trouble remembering when you changed them. The carafe has to be positioned correctly, apparently there is a magnet along the base to keep the carafe in place. The handle of it should be facing you and the drip tray has to be removed altogether. Personally, I wish it had a drip tray base like the others have – although I suspect it’s designed this way purposely to accommodate the carafe it has the appearance of an empty space; but that’s just me. This item is another unique bonus that you’ll receieve that other models don’t: a brewer chamber cleaner. It looks like a certain piece of toilet tank apparatus appearance-wise…. 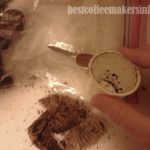 (don’t laugh) but what it does is help clean the Kcup chamber piercing needle periodically. How it works, is it’s to be filled with water (hence the remark I made earlier) and placed inside the brew chamber and depressed 5 times to expel any errant grounds. It is being described as easier than using a bent paper clip, which, I understand, not everybody likes fumbling with. It’s recommended that you use this cute little orange dealie pretty regularly, in addition to what I said earlier about pushing on the new Kcups a little. What I get a lot of the time when I dig deeper, is that people either seem to love or hate this thing. ..not as much in-between. 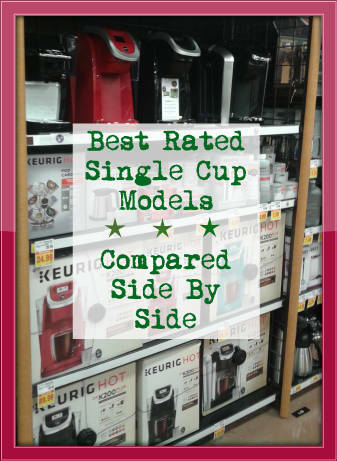 The positive reviews followed a pattern of enjoyment with the different options, some people loved the nightlight feature, the reservoir size is great and doesn’t need a lot of refilling, and the fact that one can use a 12 oz setting which if they had owned a Keurig previously (to provide a comparison point) Another thing that was enjoyed is the ability to set the Hot Water on Demand amount to your liking and not having to hold on to that button until it fills up the product in question. There is as always the usually nitpicky remarks about the DRM issue…It is what it is, fair or not. 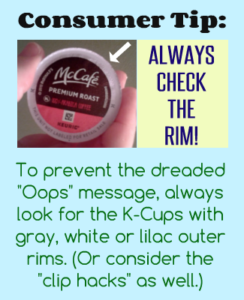 I believe that people who have an understanding of this beforehand have a much better attitude about it…it’s the consumers who didn’t know and felt like the rug was pulled out from under them when they attempted use with their stockpiled K-cups. A few consumers who reported problems (which resulted in them leaving negative ratings) that resulted from the use of distilled and softened water – these are two no-nos, which cause brewing problems simply because the touchscreen algorithms are stalled in the event of either. Without going into a ‘scienc-y” explanation; a lack of mineral content in water can cause faulty readouts on the brewer touchscreen. 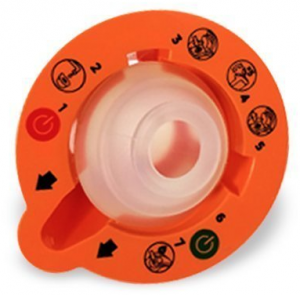 Never use distilled or softened water with the 2.0! The unit, in and of itself, I think, is priced reasonably – considering that you are getting the bonuses of a larger reservoir (yes and the pretty light) and a gazillion options to choose from regardless of what you’re making. What may not come across as so budget-friendly is the K-Mug and K-Carafe pods unless you’re only planning to use them every now and then. What I overheard a few consumers commenting on is wishing that there was a refillable option for the K-Mug and K-Carafe as they felt it would be cheaper long-run…I agreed. 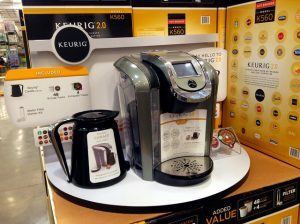 The most cost-effective option will be a one-time purchase of the refillable My-K-Cup 2.0 version. The stainless steel carafe that is sold as an optional accessory; does cost a little more than the basic black one of the same size, but I think the quality is better; being thermally insulated it is less likely to burn your hands and will keep your standby coffee hot longer. Now will you find a need for all of the options? You’ll have them all at your fingertips whether you need them or not. That will be for you to decide.